This unit is designed for maximum efficiency. The Ingenico iCT220 is a smart, compact, high security desktop credit card machine that can handle all the major digital payment methods. 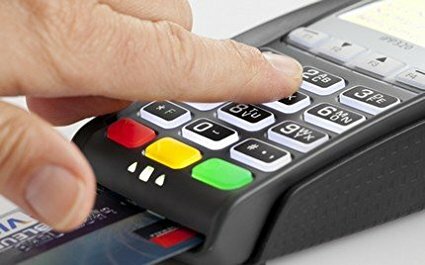 Card slot allows for EMV transactions, contactless NFC capabilities accept payments from smart devices, and side swiper takes care of the rest. 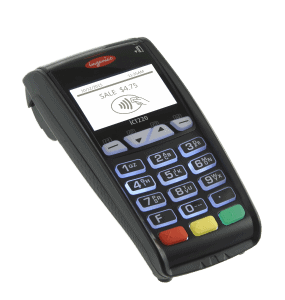 Integrate with Ingenico iPP220 PIN pad that allows customers to enter their PIN for debit card transactions. Ok machine. Works faster than my previous machine even with chip cards. Works as expected. (...) than the old one. This is a good unit. Arrived programmed and ready. I wish it had a color screen but it was free so thats ok!